An EBF Maiden Fillies' Stakes (Plus 10) Div II. Nine two-year-olds for this Class 5 contest over 7f 1y on Standard going. 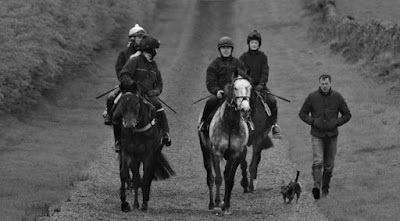 Four debutantes against a field of lightly-raced juveniles. Jeremy Noseda is a class trainer and Ettu should take all the beating. This bay filly is a daughter of Excelebration who cost 100,000E at the yearling sales now racing in the familiar silks of Marc Keller. This February foal has raced twice to date. She wasn't fancied on debut but made a creditable effort. There was money for her next start at Newmarket where she battled well after being a touch keen but couldn't quite collar Yellowhammer. A decent, progressive, juvenile. Indeed, the Horse Racing tipsters at My Racing believe she is one to watch this next season. Ismail Mohammed is a trainer who often slips under the radar but he can ready a debutante and Ifubelieveindreams may hold some claims. This daughter of Iffraaj cost 55,000G at the yearling sales. Interesting to note this youngster is still in the ownership of the trainer. Most of the horses he has owned have been limited so that may be a slight negative. In addition, this filly wears a hood for her debut. Ed Dunlop fields Marwa a daughter of Exceed And Excel. This March foal is from a good family and 250,000G yearling purchase. Abdullah Saeed Al Naboodah is a significant owner and the trainer does well on the all-weather. Marwa wasn't fancied on debut over 6f and eased when beaten. She is likely to be much better returning after 160+ days. This step up in distance will help but I would imagine she will be backed if ready for action. Keep an eye on the betting for Sayem. Ed Walker's juveniles go well on their second start and this daughter of Sayif was a very good 2yo buy at 8,000G. She was slow away on debut but looks the type to progress markedly for that racecourse bow. If backed to 13/2 & less would figure strongly. Mitigate run in the same race making her debut at Kempton. This daughter of Lawman cost 90,000G at the yearling sales. Another who will improve and a sound each-way chance. John Gosden has plenty of two-year-olds for this end season and he can prime a debutante. Vivian Ward is owned by C J Murfitt and costing 24,000G when bought by the vendor at the yearling sales. If priced 13/2 & less SP has claims. I'm sure James Tate has a few more horses from Saeed Manana since Clive Brittain gave up his licence. Defiance is a daughter of Medicean and 115,000G yearling buy from a paltry 18,000G foal. Tate is an exceptional handler and someone who knows how to train a debutante to win. It is never easy to compete against experience juveniles on a turning course but a horse who could run well. Zilza is trained by Conrad Allen. This Irish-bred daughter of Paco Boy was bred by owner Ahmed Jassim Al-Thani. This debutante will be a big price but Allen is a canny handler who deserves respect. If backed, if worthy of respect. Conclusion: Ettu will start a short favourite after two sound performances. I wouldn't knock the chances of this filly but I would be slightly concerned about a few in oppositions. Mitigate has each-way claims while Sayem has similar chances and if backed would be worthy of respect. Marwa did little on debut but cost a lot of money and after such a long time on the sidelines may well have been brought here with some hope. If backed, would make appeal. Vivian Ward is another horse who could go well on debut if priced 13/2 & less SP. While Defiance hails from a great trainer who often hits the high notes on racecourse bow. If betting, it is important to let the betting settle unless anticipating a gamble. It may help scratch one or two debutantes. If you bet on an each-way selection, I'd bet tempted to back the favourite and a fancy to cover all angles. The favourite will go well but there could be some opposition.